Delcam will demonstrate the new version of its ArtCAM Pro design and manufacturing software for the woodworking industry at the Xyelxpo exhibition to be held in Milan, Italy, from 16th to 20th May. This latest release, version 9, includes enhancements for data import, design creation and machining of models. 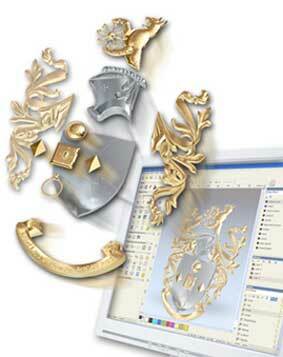 ArtCAM Pro enables people with creative flair, such as artists, designers and engravers, to increase their productivity and raise quality by using computerised manufacturing techniques, alongside their traditional skills. The new features in this release seem certain to consolidate the software’s position as the leading system for the engraving, signmaking and woodworking industries.